Why do I feel like throwing up whenever I eat? I don’t know if it has to do with the fact that a lot of things have been irritating me lately/I’ve been depressed for a while now. I’ve never had this problem before, until now. But I’ve been really angry and upset about something for a long time now. This just started happening like 4 days ago I would say? First I’ll think I’m not hungry, and I won’t want to eat even if I haven’t eaten anything all day. Then if the food has been in front of me for a while, I decide to try some and I realize I’m hungry, right? So I eat more. When I’m like 70% full, EVERY time, I feel like throwing up. I’ll be eating and eating totally normal, then I’ll just stop and feel sick. I’ll stop eating because of the feeling. But then soon after, I just feel like eating again but then I’m afraid to eat because I don’t want to feel like throwing up again. I have never actually thrown up because of it, eating just makes me *want* to. Just thinking about it makes me want to throw up -.- It sounds disgusting, I know. I just don’t know what to do. Whenever I eat now, I feel like I should just go to the bathroom and throw up. -.- I’m almost considering becoming bulimic because of it. ._. Again, this has never happened before. What is going on? The way our digestive system reacts often mimics our emotions. If we are feeling nervous, there’s butterflies in our stomach. If we are stressed, we get gastric and ulcers. 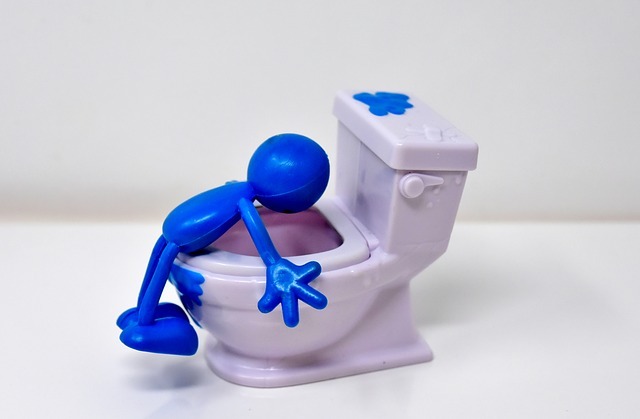 In the case of wanting to throw up, it could be real annoyance and disgust- as with the verse that people sometimes may use, “you make me wanna puke”. When we did not learn to address that emotion and perhaps try not to think about it, it gets pushed in and manifested in bodily symptoms. Sometimes, we really cannot avoid unpleasant situations in our lives. There bound to be people who disgust and annoy us or those that we cannot get along but instead of leaving us alone, they cannot stop harassing us. Perhaps the job or the situation makes that encounter with that person unavoidable. In instances like that, we may want to consider to well, be more easy on ourselves. We may be over focusing on the flaws of others- granted, we all have our weaknesses and imperfections and people become who they are because they are shaped by experiences. Whether they had gone through nasty or horrible things in life, we do not know. So it caused them to behave in a certain manner. This is worth as a food for thought (no pun intended). Diabetic Home Remedy Cure- true or quack? Wow. This was really disappointing. I was hoping to get a real biological answer but instead you just said a bunch of psychological crap. I realize psycology can play a part in various aspects of your health but really? That is the best answer you could come up with? Ugh. Thanks for your feedback. This article relates to mind body connection. A physical symptom could be purely biological or it could be a manesfestation of how we handle/supress/ignore our emotions. I always request the reader to adopt an open mind- if it does not apply to them, then they can just ignore it. All the best in your search for answer and thanks for visiting. I enjoyed the answer very much. It reflected directly to a part of my life in my teenage years when I was depressed. Eating then was very difficult, and after a few bites, I’d often feel like throwing up. It was especially bothersome because I was bodybuilding. Smoking marijuana too much may make you lose your appetite when you’re sober. I also went through that, where when I wasn’t “high”, I had trouble eating. Thanks for the feedback Luige. I am glad you find the article helpful to you. Merry Christmas to you too and take care. Help how to cure my laryngitis quickly? I’ve got public speaking tomorrow! Why do I have trouble breathing when I am stressed and tired?